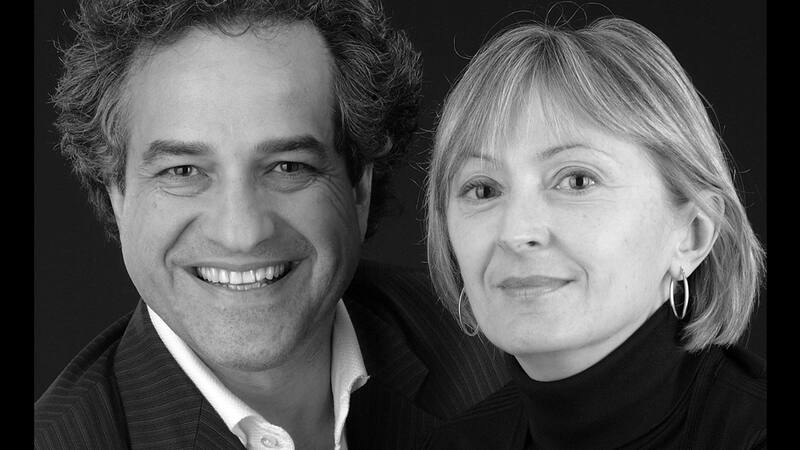 Marta Laudani and Marco Romanelli, architects, have been collaborating since 1988 in the associated offices of Rome and Milan. They work in the fields of design (for Bosa, Dorelan, Driade, Fiam, Glas, Nodus, Oluce, Salviati etc., interior decorating (their works have been published in the most important international magazines and, in 2004, they participated in the Biennale of Architecture in Venice in the section “Notizie dall’Interno”) and exhibit design (in 2002-2003 “Gio Ponti: a World” at the London Design Museum, Rotterdam Nal and Triennial of Milan; in 2007 “Bruno Munari” in Tokyo). In 2001, in Rome, they designed the restoration of the “Museum of Roman Civilization” for Fiat-Engineering. Both flank their design work with an intense critical meditation on topics involving living and design: Marta Laudani has lectured at the Sapienza in Rome; Marco Romanelli has been editor of both Domus and Abitare.